Tokumitsu Coffee, located next to Odori Park is one of the best coffee roasting houses in Sapporo! 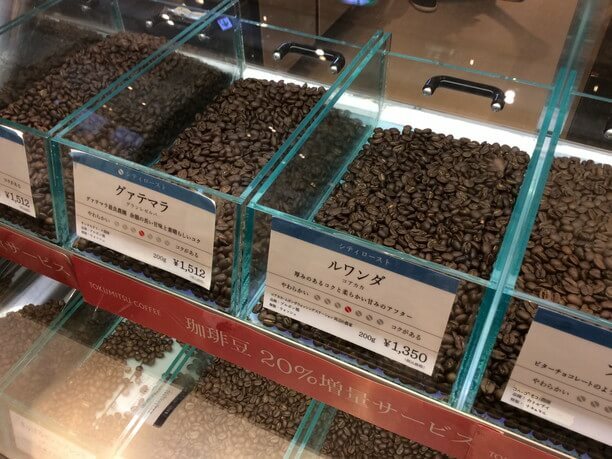 The shopkeeper buys carefully selected coffee beans in popular flavors and roasts them to perfection and blends them together to create the “Sapporo blend”. You can enjoy an excellent cup of coffee along with homemade sweets while enjoying the view of Odori Park and the scent of roasting coffee. 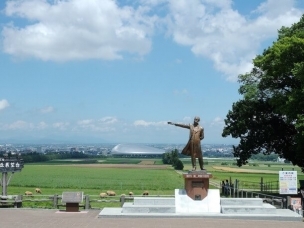 A great place for a coffee break in the fresh air of Hokkaido! It is not to well known outside of Sapporo’s City(札幌), but this coffee shop is a major attraction here. 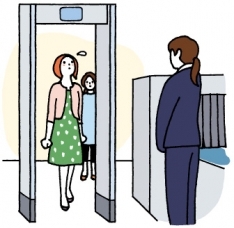 It is ideally located in a glass-fronted building on the second floor, overlooking Odori street. 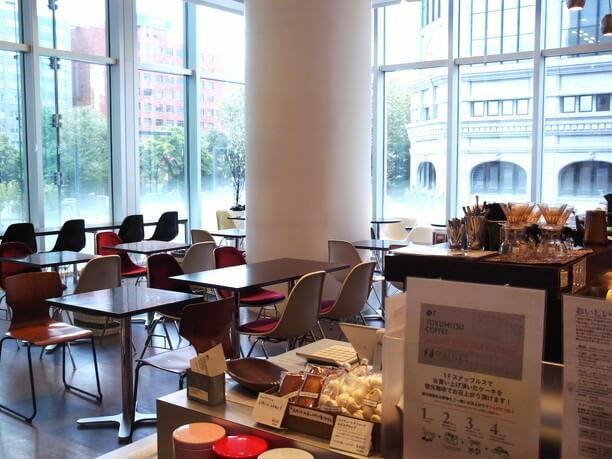 The view of Odori Park from the bright, stylish interior, gives you a real fun sense of “now I am in Sapporo! ” That, with your coffee fills you with a great sense of satisfaction. 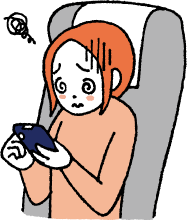 The shop is not far from the Odori Subway Station, and easy to access from the underground, even on rainy days and days of heavy snow. Beautiful and delicious latte art! 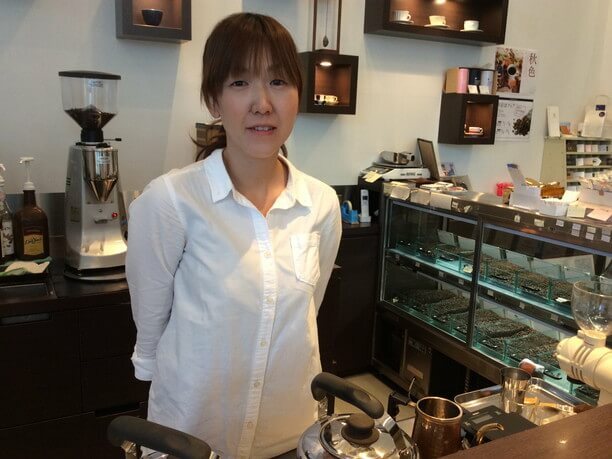 Tokumitsu home-roasted coffee is made from local coffee beans, personally selected by the owner. 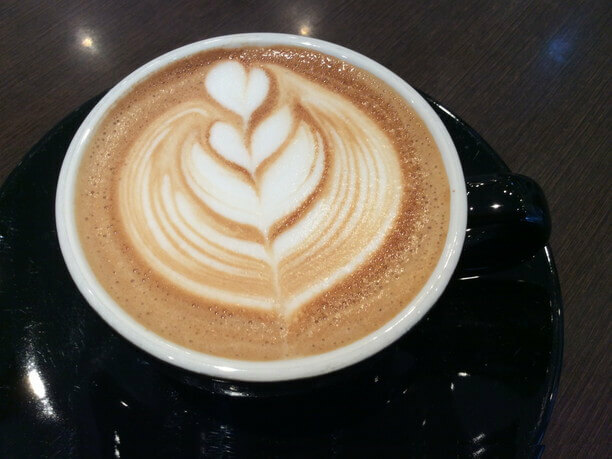 They also use these coffee beans in the creation of their very popular latte art. It is made by combining espresso with steamed milk at a temperature that creates of exquisite bitterness. It is both beautiful and delicious. It is made right in front of you in a well-lit area so you can see just how they make it. Their skillful staff makes it look easy. Enjoy some nice sweets with your delicious coffee! Tokumitsu offers 5 types of coffee. Flavors range from a light, soft flavor with a moderate bitterness, to more bitterness and even a little spicy. The Sapporo blend is my favorite! All with a deep flavor and satisfying taste, you can choose whatever taste you are in the mood for. If you are not too familiar with coffee, let a staff member know and they will be glad to help you choose. There is a great sweet menu to compliment your coffee. Especially popular is the homemade cheesecake and Gateau Chocolate. 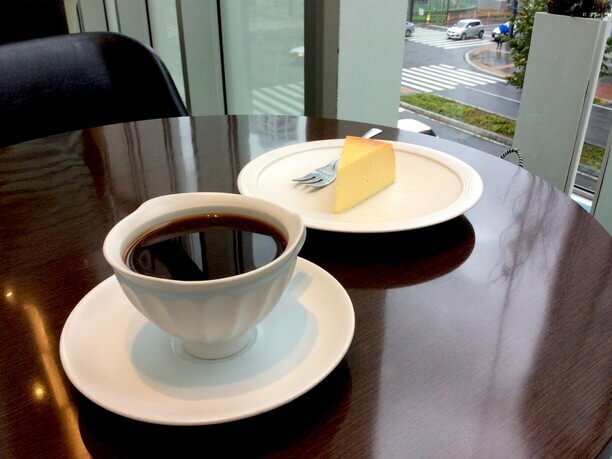 The rich flavor of their cheesecake matches any type of coffee. The Gateau Chocolate is recommended for people who love going deep into their coffee’s flavor. There is a partition blind that separates two seats from the other seating. 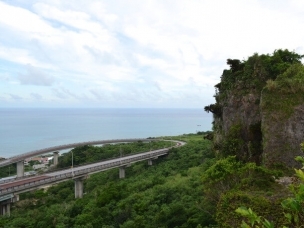 It is a great place for leisurely talk or a private conversation. 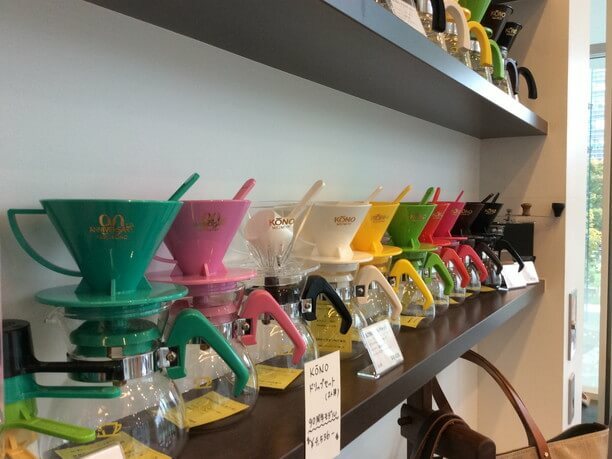 You can participate in one of their coffee preparation classes and buy all the coffee specialty items you need! 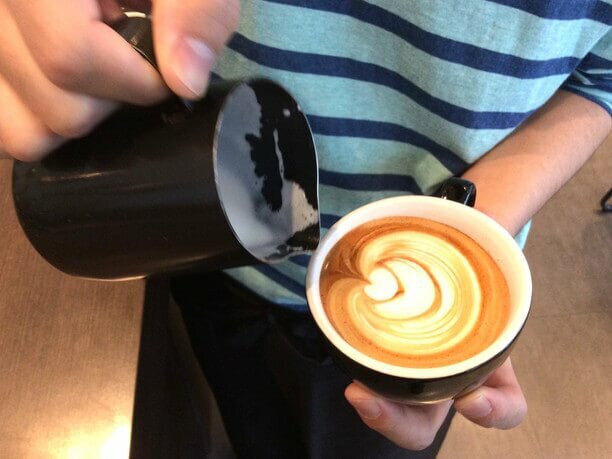 In addition to offering coffee preparation classes, Tokumitsu Coffee sells coffee beans, drip equipment, and other coffee related items that are all beautifully displayed. Beans available to purchase and use at home! 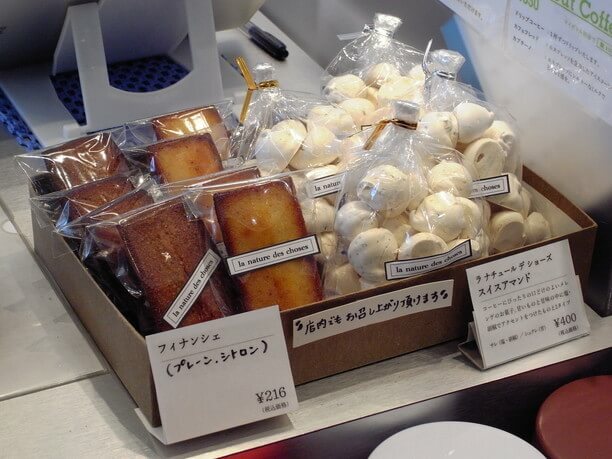 In addition to buying beans, you may also want to purchase some of their delicious candy and cakes! Many of their items are available in popular paper packs. Cafes and coffee shops are very popular in Sapporo. Especially popular is the Tokumitsu Coffee shop. It is perhaps the most sophisticated coffee shop in Sapporo. So please take time and enjoy a hot coffee and refreshing view of Odori Park Green, at this retro style, charming store! After 4:00 p.m. the shop is more crowded. An earlier time is recommended to avoid crowds. 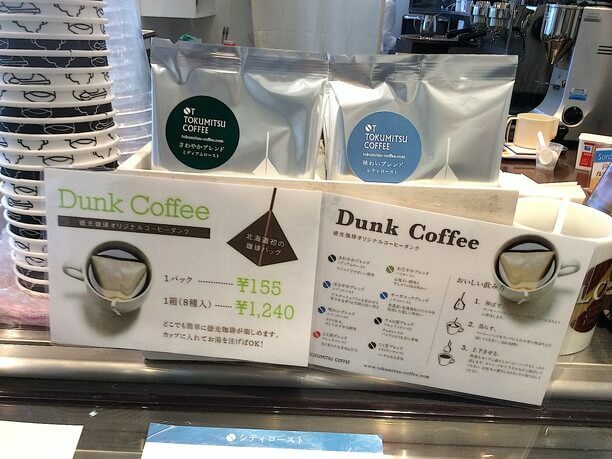 For people who want to enjoy Tokumitsu Coffee at their hotel coffee is sold in to go containers beside the cash register. Tokumitsu has the best location for taking a coffee break when you are near the clock tower, television tower, or Odori Park. Tokumitsu offers seasonal blends each season. The Autumn blend is my favorite! Year round (year-end and new year holidays closed). Enjoy a quiet time in the “Yue” Surrounded by the smell of coffee beans. Lurking in a back alley inside a retro building is Hedgehog Coffee Shop. Enjoy Hokkaido sweets and desserts at Odori Bisse!